Recruit, Retain and Know Your Market. A must-have for real estate professionals. 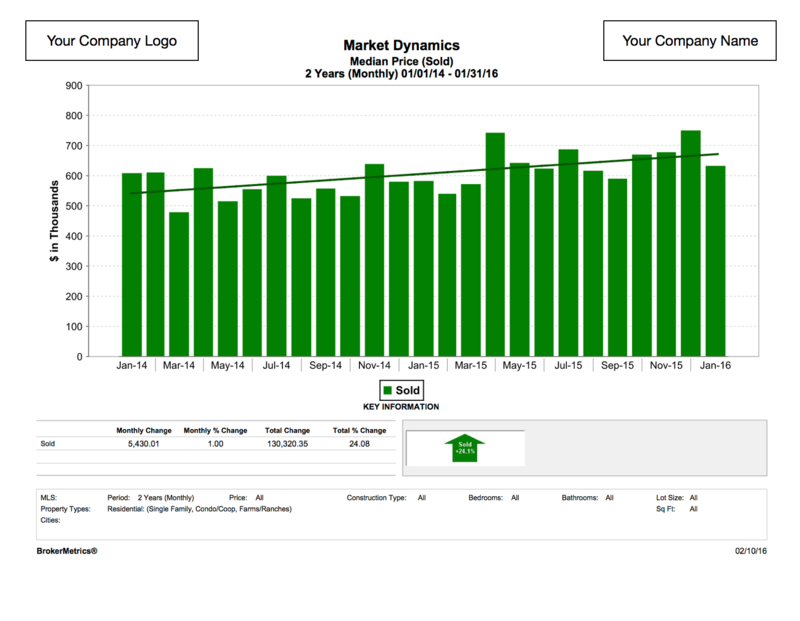 BrokerMetrics puts the power in the hands of the broker with a suite of real estate business intelligence tools that query real-time market statistics unavailable in most MLS systems. With BrokerMetrics there is no hype, just factual, relevant and on-point real estate market trends. Each tool is designed to provide comprehensive analytics for a specific aspect of the market, including agent performance metrics, market share, market dynamics and pricing analysis. Everything in BrokerMetrics is completely transparent. Our interactive interface allows you to zero in on specific areas of the chart to uncover the data used in the calculations. Each chart comes with a detailed data spread sheet that can be printed, emailed or exported for use in presentations, blogs, social posting and more. Read more about what each tool has to offer. Target the right recruits with access to real-time performance data for every agent in your MLS. 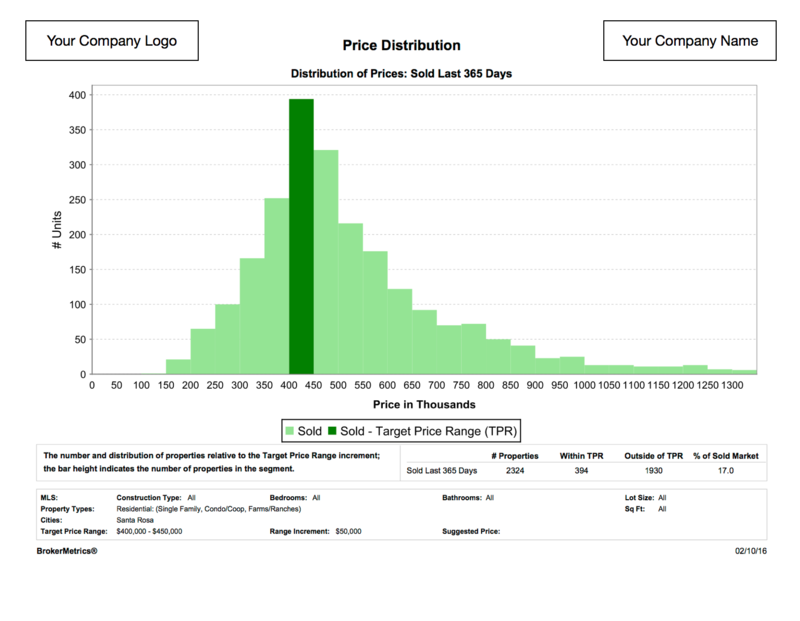 Proficiency Metrics allows users to measure an agent’s production by total dollar volume, unit transactions, average sold price, days on market and sold price to original price ratio. Whether you are looking to expand your primary market areas with top producers or need help coaching your own agents to the next level, Proficiency Metrics provides the data you need to build a team that fits your culture. Find out how your firm stacks up against the competition with our three-in-one Market Share search tool. 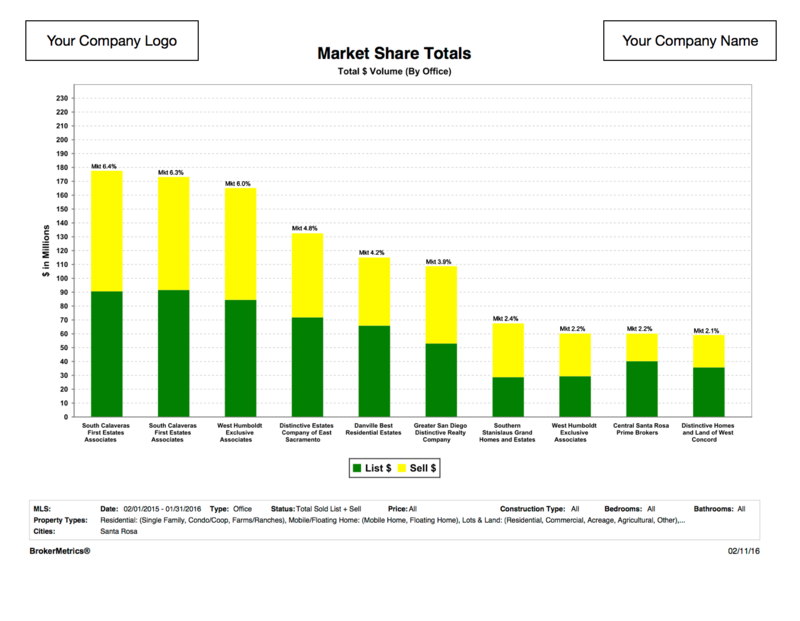 Market Share provides insight into your market by office and groups of offices over a selected time period. The comprehensive, data-driven reports can evaluate the collective market share of your office and its competitors by market areas, total dollar volume, number of transactions or sold price to original price ratio. Use our Market Growth tool to grow your business with confidence. With Market Growth, owners/managers can compare the growth rates of multiple market areas of interest, and determine which market areas have the highest potential for office growth and identify potential acquisition candidates. 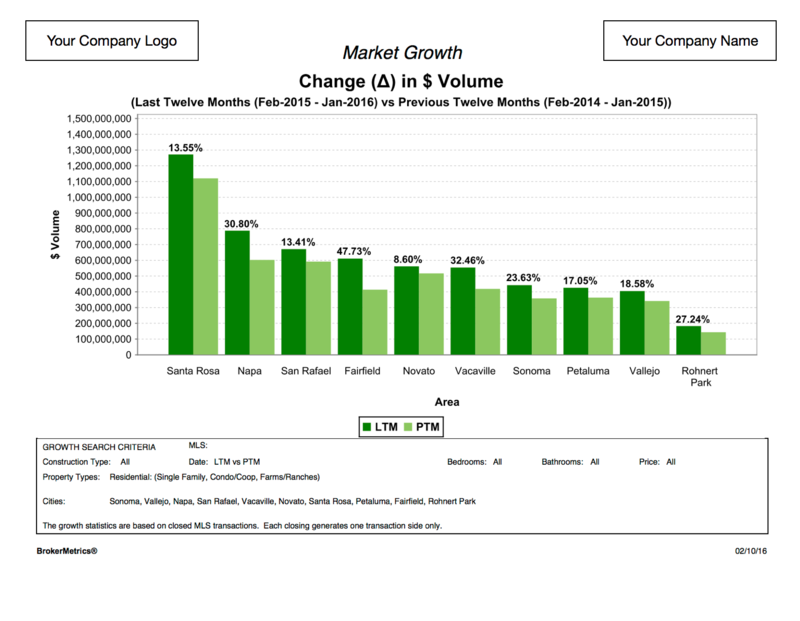 Users can pinpoint changes to market size by multiple variables, and the highly visual reports make it easy to analyze market and office growth over custom-tailored time periods. Visually demonstrate the economic forces affecting your market with Market Dynamics. Educate your agents and clients on local housing demands based on listing/sales activity, pricing and supply and demand. Prove your real estate market expertise with Pricing Analysis. Generate reports showing how many properties sold, what price points drove timely sales, and chart pricing trends demonstrating how you will showcase your client’s property to their advantage and avoid the mishaps of overpricing. A digital dashboard designed to improve the profitability and productivity of your business with two tools: Office Analysis and Agent Analysis. Office Analysis allows users to measure current results vs. goals of your office(s), and Agent Analysis allows users to monitor the performance of your agent’s business and profitability. Subscribers: interested in learning about these tools? Check out the upcoming free webinar schedule. Want to see BrokerMetrics in action? Click the Request a Demo button or give us a call at 888-212-4793 to learn more.